The five (5) member Zoning Board of Appeals holds quasi-judicial public hearings to determine requests made by property owners in the city for considers requests for appeals of administrative interpretations or decisions, special exceptions, and variance requests as authorized by state law and the City of Hartsville Zoning Ordinance. The Zoning Board of Appeals hears and decides appeals where it is alleged there is an error in any order requirement, decision, or determination made by an administrative official in the enforcement of the zoning ordinance. The Board permits uses by special exception, subject to the terms and conditions set forth for such uses in the zoning ordinance. The Board also hears and decides appeals for variance from the requirements of the zoning ordinance when strict application of the provisions of the ordinance would result in unnecessary hardship. Meetings are on an as needed basis to review applications. 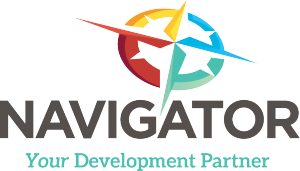 Complete applications for the Zoning Board of Appeals review must be submitted to the Business Navigator by mail at P.O. Drawer 2497, Hartsville, SC 29551 or in person at 100 East Carolina Avenue. An incomplete submission will not be accepted. A submission is only considered when it includes a completed application, plans, plats, a letter explaining the request in details as it relates to the decision criteria, application fee and other supporting information as applicable. After submitting your application, Brenda Kelley, Development Project Manager will guide you through the process. Your request will be added to the Zoning Board of Appeals meeting agenda. If the Board approves your request, you have permission to proceed with your project as approved by starting the permitting process. If your request is denied, you cannot move forward with your project and you cannot file the same request for one year. Zoning Board of Appeals meetings are public hearings and citizens are encouraged to attend. If you are unable to attend, comments for an agenda item can be submitted for consideration in writing to the Zoning Board of Appeals staff advisor by email, mail, or in person. Application fee: $20. An advertising and publication fee of $50 is also due at the time of application. The $50 fee is refundable if the application is withdrawn prior to the advertisement of the application for public hearing.